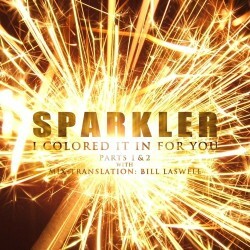 Peter Apfelbaum’s latest release is an EP by his new band Sparkler called I Colored It In For You. In this interview, Apfelbaum talks about bringing the groove back to jazz; his upbringing in Berkeley; playing with Don Cherry; and his approach to composition and to leading bands. This interview features music by Sparkler, plus a tune from Apfelbaum’s upcoming solo album on Loove Arts and music by his New York Hieroglyphics band. Learn more at peterapfelbaum.com. Next PostNext The Jazz Session #445: 8th Anniversary Retrospective!